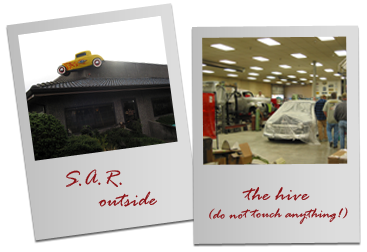 Steve’s Auto Restorations in Portland, Oregon is a multi-faceted shop specializing in transforming automotive dreams into reality. The street rods built at Steve’s range from capable cruise-night machines to highly-detailed, top-echelon show stoppers. In addition to building street rods Steve’s Auto Restorations owns and operates Real Steel, a division that specializes in the manufacturing of steel ’33/’34 Roadster bodies and replacement sheet-metal parts. 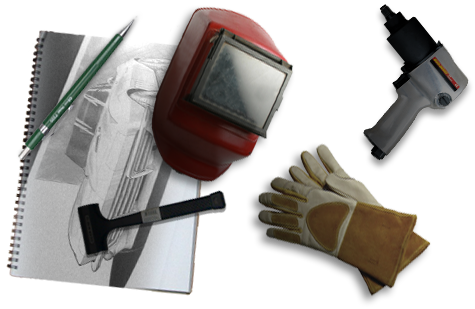 The team at Steve’s is proficient in virtually every aspect of custom car construction, and also perform specialty service and repair work. After years of establishing a reputation for building concours-quality antiques and classics to contend at prestigious events such as Pebble Beach and Forest Grove, Steve recognized the decline of the antique market and shifted his focus as the potential of the street rod market became more apparent. 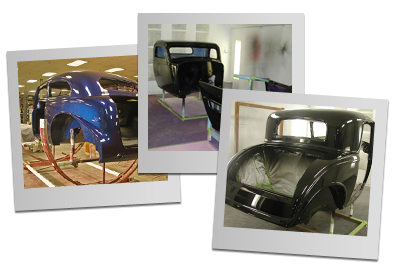 Already having years of interest and experience with street rods, Steve’s Auto Restorations simply began to apply their trademark craftsmanship to street rods of all types. The shift provided Steve and his crew with an opportunity to challenge themselves by applying their talents for refined style and detail with much more creative freedom. Another obstacle that arose for Steve’s as the market shifted and the shop evolved to meet the demands of customers was the availability of salvageable bodies. Unlike the antique market which relies on restoring a vehicle to its original state, the essence of street rodding is built primarily on modifications that transform an original to better suit an individual. Steve witnessed many customers’ disappointment as the most desirable body styles became increasingly difficult to find and even more difficult to afford. Struck by the high demand for his personal favorites and unimpressed by fiberglass reproductions, Steve decided to build an all-steel reproduction roadster body. To produce the bodies he formed Real Steel, a division dedicated to the stamping and assembly of ’33/’34 Roadster bodies. 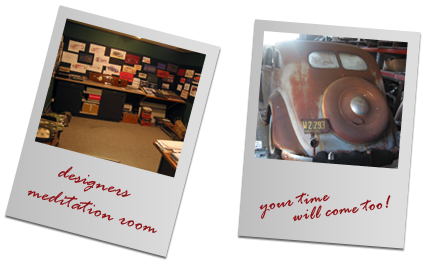 All dies used in the stamping process are owned by Steve’s Auto Restorations to ensure solidarity and quality control. Replacement panels are available separately, but Steve’s specializes in building the bodies to order in-house. The bodies come standard with upgrades such as a big-block firewall, smooth cowl, and hidden door hinges, but all original equipment is also available. In addition to the Roadster bodies and replacement panels, Steve’s Auto Restorations also manufactures a variety of parts including steel roll pans for ’32 Fords and hand formed Millennium headlights. Steve’s Auto Restorations is housed in a 14,000 square foot shop that is filled with an extremely talented crew and invaluable equipment. The impressive fabrication work Steve’s is renowned for demands an extensive collection of rare and desirable metal-shaping equipment. Although equipment such as the English wheel, Yoder power-hammer, and panel flanger are indispensable tools, they are virtually useless without extremely skilled operators capable of transforming flat metal into curvaceous automotive art. 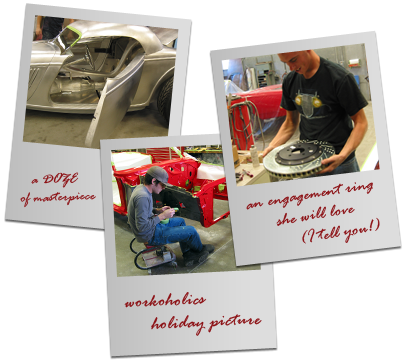 Steve’s team of highly proficient fabricators, paint/bodymen, mechanics, and designers execute nearly every operation required in custom car building, and are relentless in their pursuit to expand the boundaries of their abilities. Surrounded by a staff comprised of a combination of antique restorers and full-blooded hot rodders, Steve encourages the creative input of his crew on every project that rolls through the door. 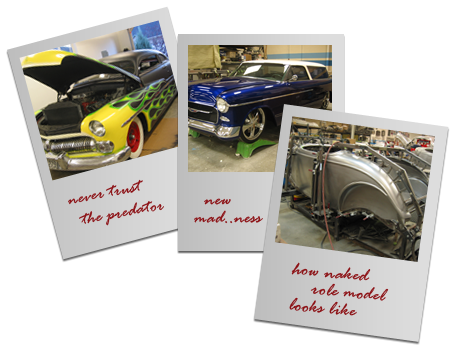 Steve’s Auto Restorations continues to evolve with the ever-changing street rod market and the enthusiasts who drive it. High profile, ground-breaking builds like the NewMad, RealMad, and Baron Von Kuhl represent a small percentage of builds at Steve’s, but illustrate Steve’s Auto Restorations ability to impact the rodding world with imaginative and uncompromising creations that challenge the limits of modern rodding. Although Steve and his crew are well known for rare 10,000 hour builds that challenge the very limits of their creativity, SAR prides themselves on their ability to transform anyone’s dream into reality. Not only have our metal fabrication skills become a trademark here at Steve’s Auto Restorations, but also our meticulous paint prep and finished paint work on everything from antiques and classics to hot rods and custom cars that we build. We have applied everything including solid OEM colors, metallics, kandy colors, and artwork to the creations here at the shop. We have dealt in all mediums such as lacquer primers, high build primers, epoxy primers, lacquers, enamels, urethanes, and polyurethanes. Top coat finishes are cut and buffed to a mirror finish. We have won the House of Kolor “Prestigous Painter Award” three times. Once in 2000, 2003, and again in 2008. We have also taken many “Best Paint” awards at the numerous shows that our cars have competed in.